Every 21 days, new eggs hatch, doing what Thompson calls the “GPS dance.” The bees swarm in front of the entrance, the young bees learning from the older ones the local “map” that tells them where to forage. Bees will also form a “tornado of bees” if they get overcrowded or if they decide that there is a new queen. Typically the bees do not get aggressive, though this behavior depends on the queen. If a hive is upset, however, bees will be so busy protecting the queen and the honey that they won’t swarm. “If you see a bee they are so busy pollinating and if you go by them they won’t bother you,” reassured Thompson. 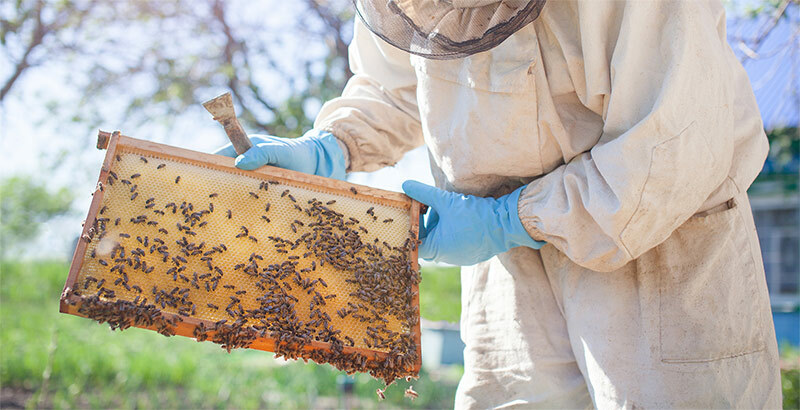 Bees are especially important in the Back Bay area. As they travel from plant to plant they carry the genetic material vital to reproduction. This helps support the biodiversity that contributes so much to the natural beauty and recreation opportunities Sandbridge is known for. So although the honey from her hives don’t smell like the ocean, the devotion of Thompson and her bees helps to keep Sandbridge beautiful. Wonderful story! I hope her bees find my house in spring. I have fruit trees that could use pollination!